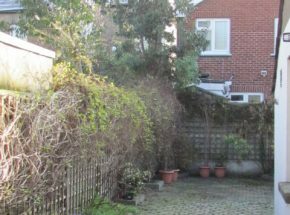 Here’s an example of a typical city garden that needed our expertise and design eye to transform into a sleek, all-year-round visually pleasing landscape designed garden. 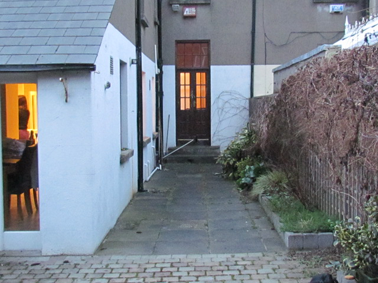 Our brief was to create strong structure, hard surfaces for children to play in a safe environment. 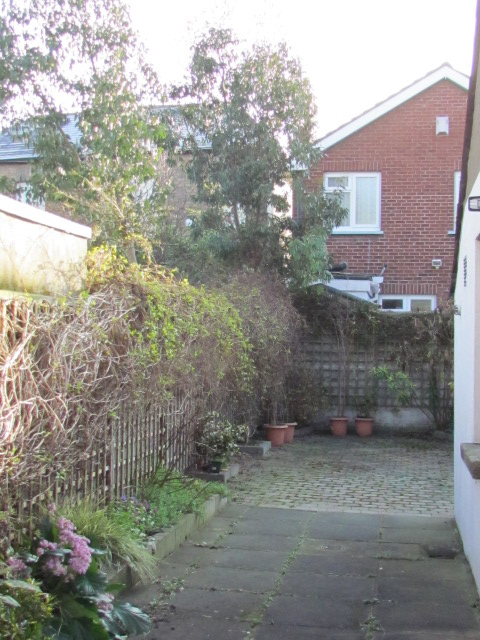 The clients liked the open feel of the original garden but wished to have it upgraded. 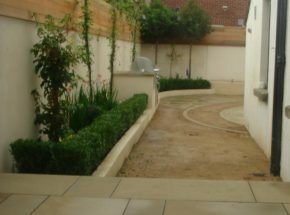 Following a consultation to give the clients ideas and direction they proceed with a design concept which consisted of intertwined circles with low retaining walls for planting beds. This gave feeling of identity and greening of the space. 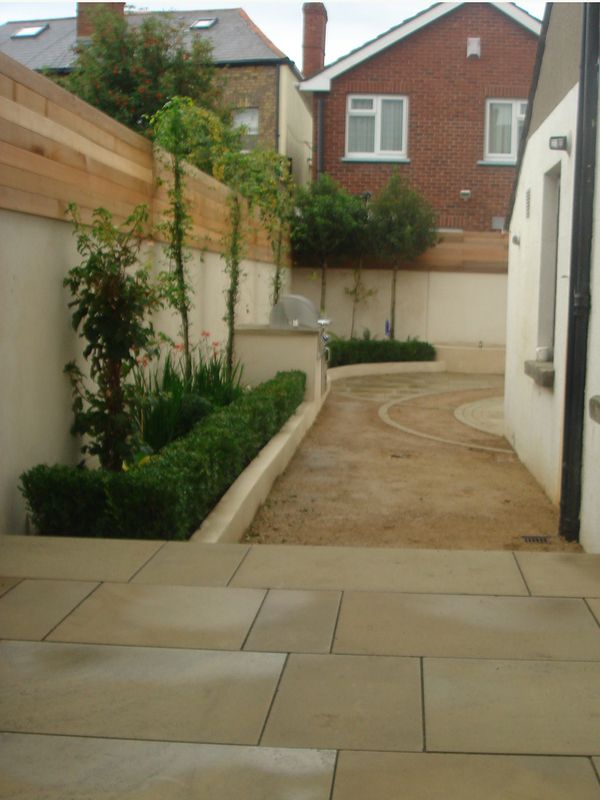 For this bespoke design newly sawn Yorkstone was sourced with contrasting cobble. The large paving slabs extended the eye out and gave the illusion of the garden being larger. 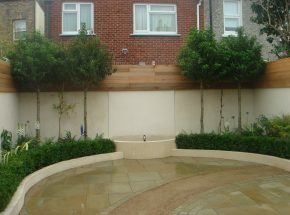 A small contemporary fountain and pool with lighting was a focal feature that added another dimension to this garden. 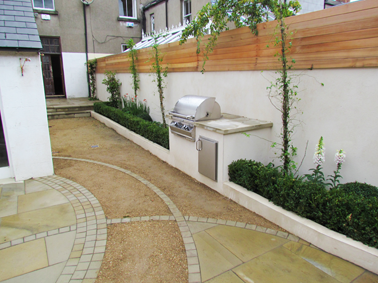 The clients aspired to a garden for entertaining and family dining. To cater for this a outdoor kitchen with a bespoke barbeque was installed. 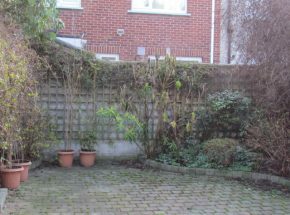 The planting of formal trees softened the boundary walls and also created privacy. Other modern material used was the cedar fencing with stainless steel guides for training vines. 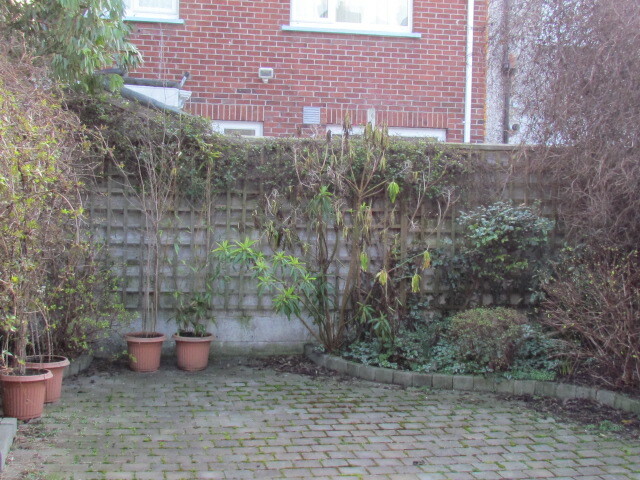 These components created a highly visual and low maintenance garden for our clients to enjoy. Copyright © Ellen Landscape Designs Ltd. All rights reserved.